3 wood-heated saunas, lavender-scented aroma chamber, drench bucket shower, and cocktail bar… what else could you possibly need? We designed our sauna park by keeping in mind the beauty and unique features of the environment. 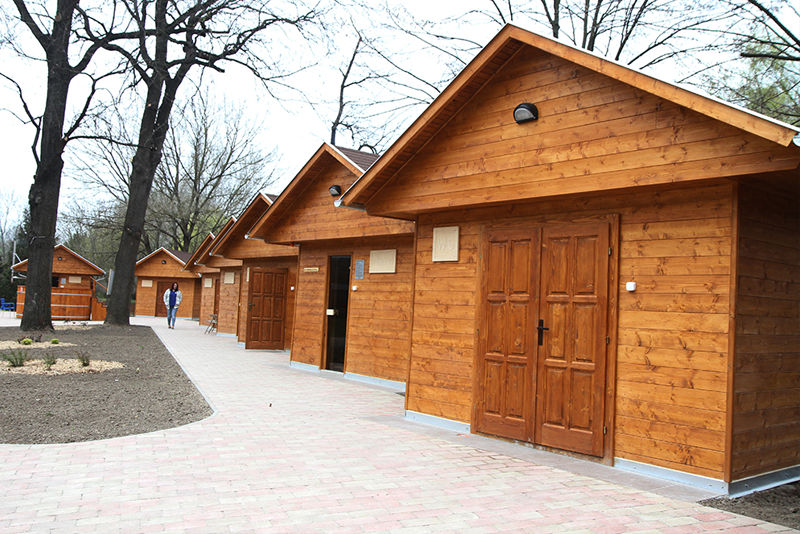 The saunas, dressing rooms, resting areas and showers are located in small, detached buildings. 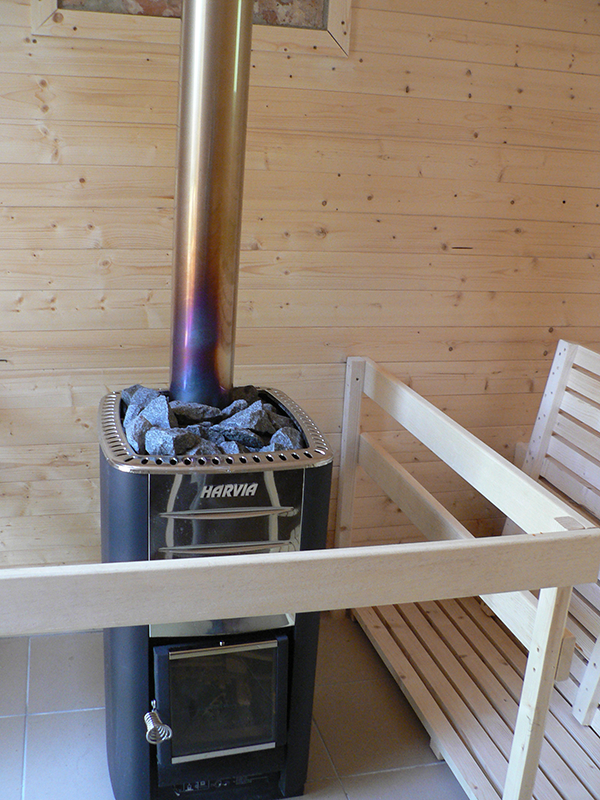 Wood-firing stoves create a special atmosphere in the Finnish saunas. 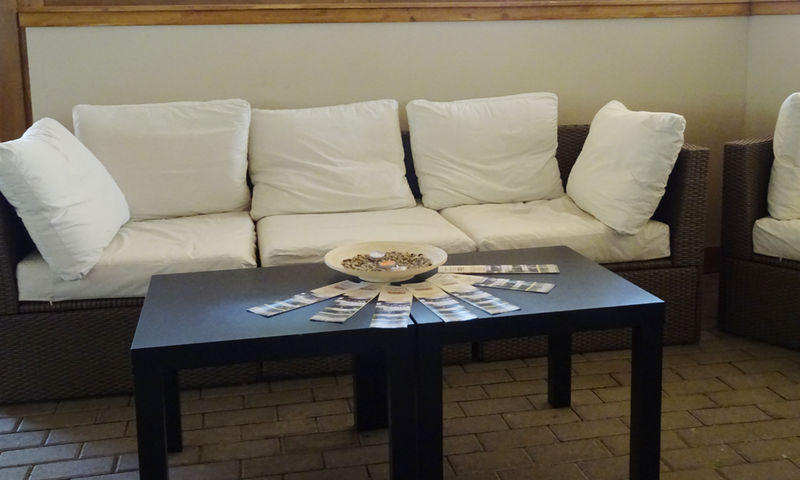 There are several options available at our facility if you want to take a break between two sauna sessions. 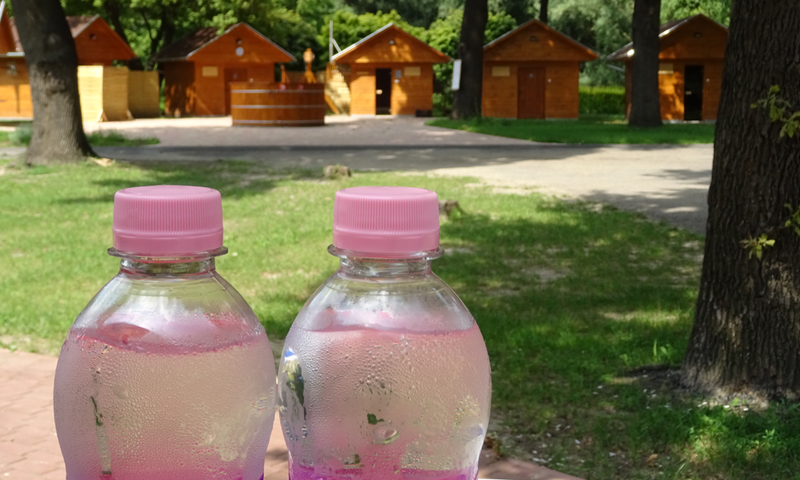 Drink a glass of cold water or tea in the Sauna Bar, or relax outdoors if the weather is nice; or rest in the lavender-scented aroma chamber that can accommodate 4 people. For many, the real experience is a sauna session. 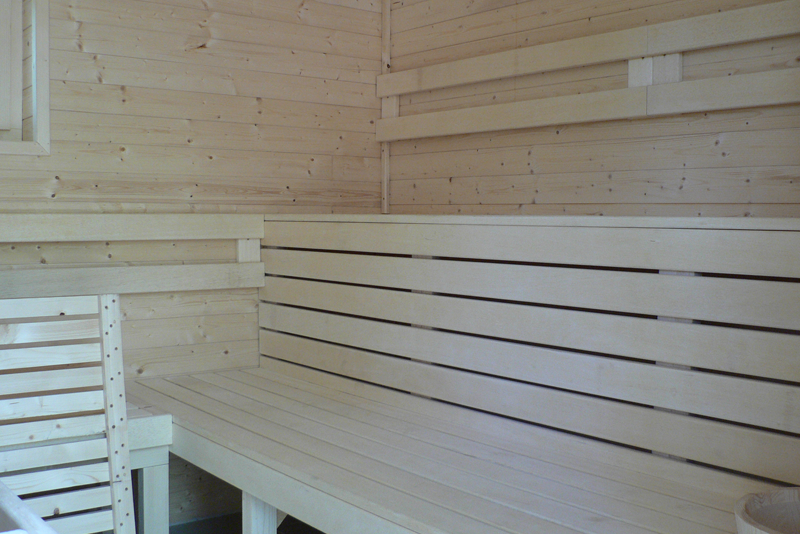 Our sauna masters hold sessions on Wednesdays, Saturdays and Sundays. Apart from the basic sessions, make sure to keep an eye on our website, as there are thematic specialties on offer every month. Try out what it feels like to drench yourself in10 litres of cold water at the tug of a chain! 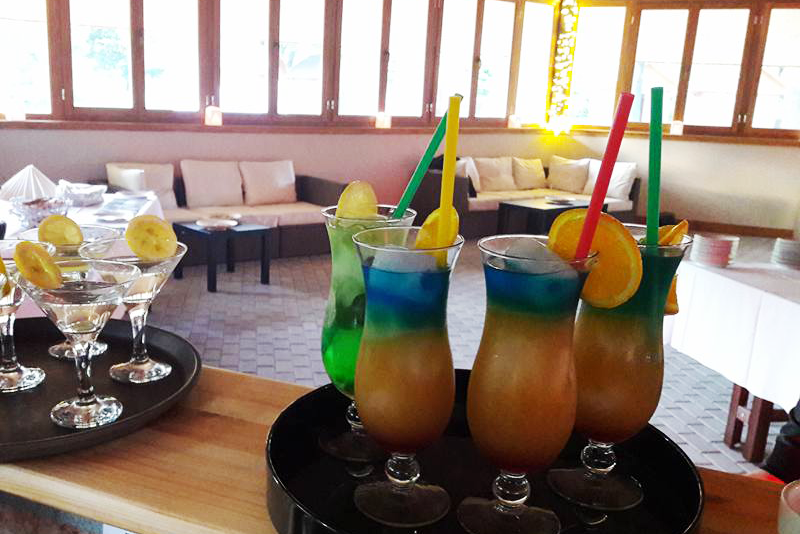 It is a one-of-a-kind cooling experience! 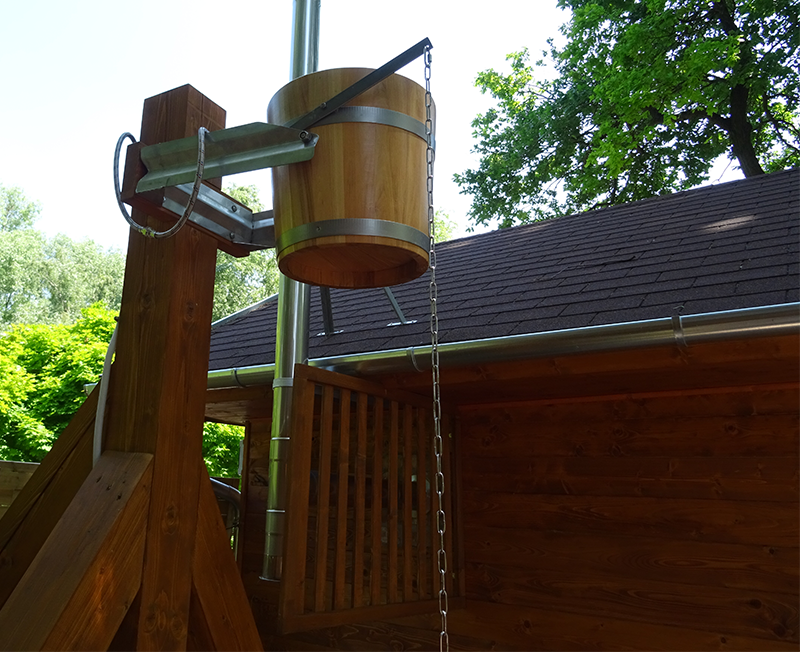 The drench bucket shower is becoming a widespread alternative for splash pools. 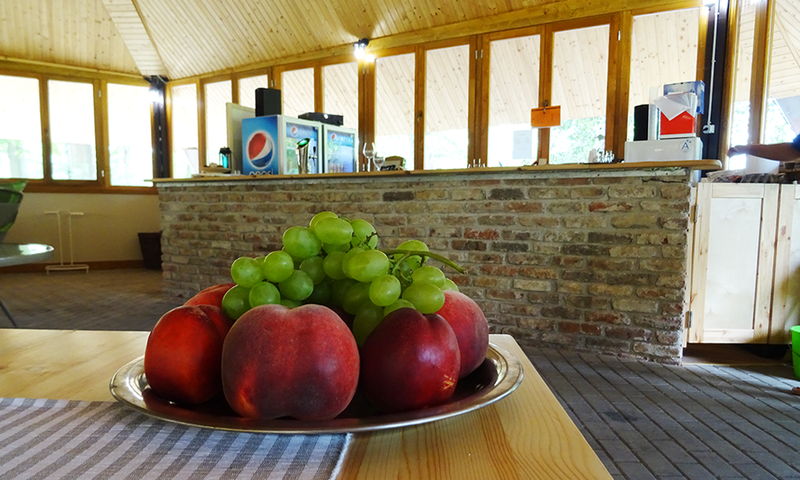 Get refreshments in the sauna bar! 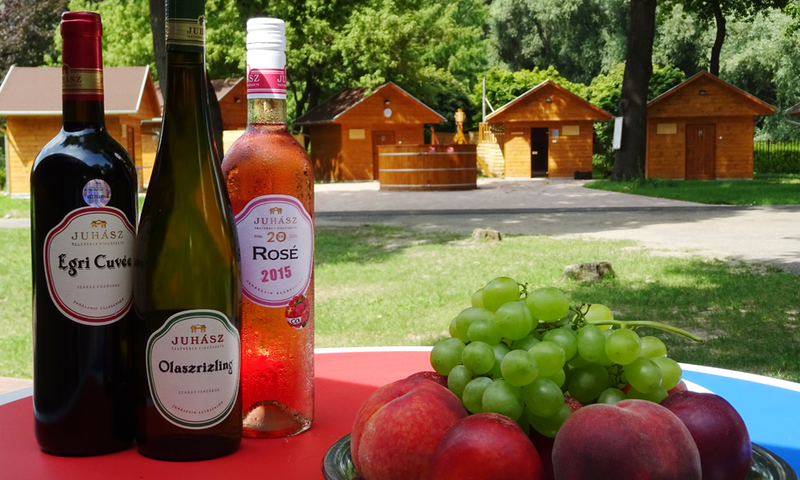 Did you know you are not allowed to drink while attending the sauna? Afterwards, however, it is important to rehydrate yourself. 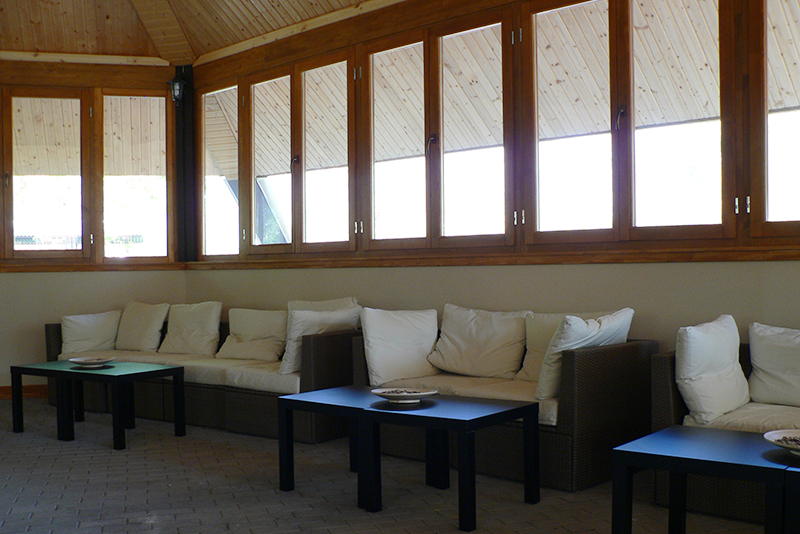 Relax in our sauna bar, and enjoy a cold glass of water or tea. Registration between 2 p.m. and 10 p.m. Registration between 8 a.m. and 10 p.m. Attention: a sauna seat cover or towel must be used inside the sauna! If you do not have your own accessories, you need to rent them. How much time should I spend in the sauna at one go? Make sure you let your body gradually get used to the high temperature. Initially, do not spend more than a few minutes in the hot sauna. Watch your body’s response: if you feel like the heat is too much, take a short break. It is not recommended to spend more than 15 minutes in the sauna, even for experienced sauna-goers. How should I cool myself after taking a sauna? There are several options available, depending on your constitution and stamina. If you feel brave, try the drench bucket shower, spilling 10 litres of cold water on your shoulders at one go. If you are feeling more careful, use the showers or simply sit in the resting room or in the sauna bar. What is the earliest age the sauna can be used at? 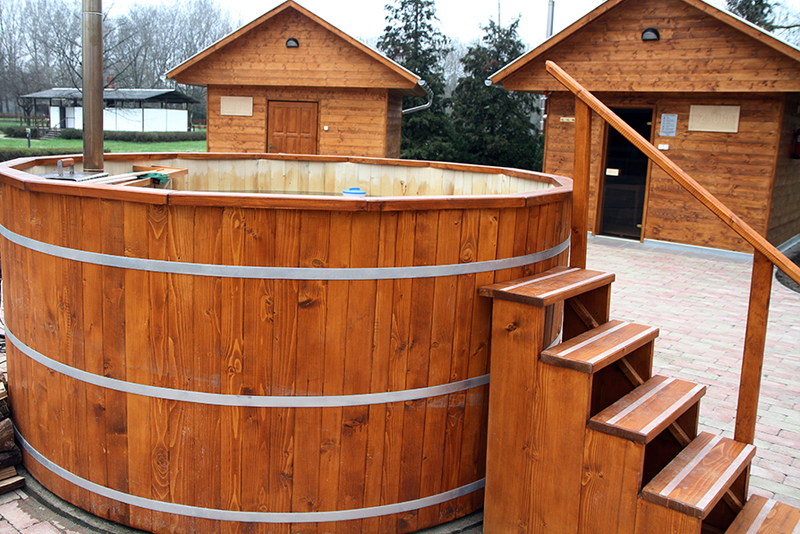 Our sauna park is open to our guests above the age of 16. Can I rent an entire sauna for myself? Yes, this is possible. The rental fee is HUF 10000/3 hours. Do I have to register for sauna usage? Yes. Please, always register, and book a time. Call our colleague: 25/551-450. What does the sauna ticket price include? Various types of tickets can be purchased. 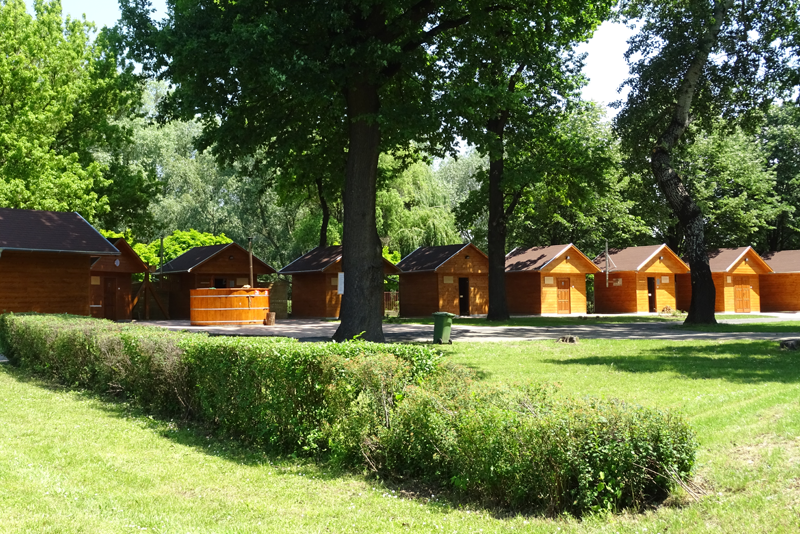 Our 3-hour ticket allows you to make use of the services provided by the sauna park for 3 hours; however, day tickets and season tickets are also available. The normal entrance fee allows for using the sauna, the changing-room, the resting areas, the drench bucket shower and the Finnish jacuzzi. There are special tickets for sauna sessions, which are not available with normal tickets. 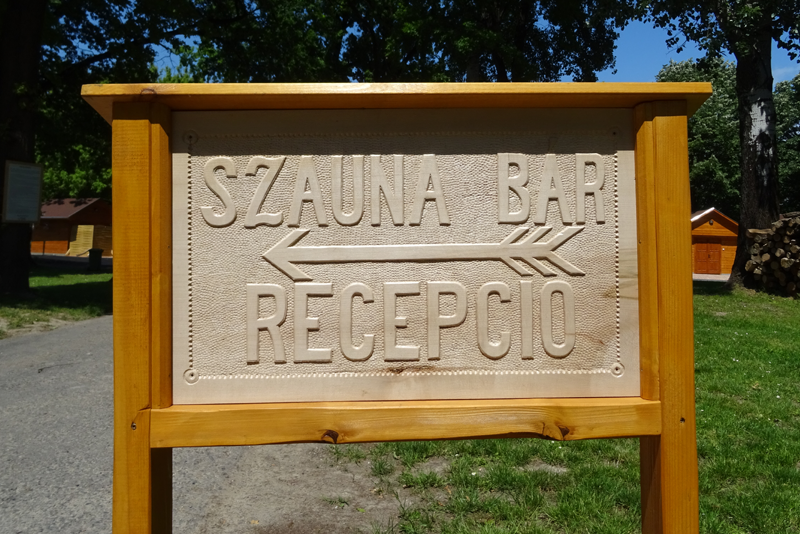 The price of the entry fee does not include the use of sauna accessories (towels, gowns, etc. ), but they can be rented. • Enjoy sauna services at your own risk. • Taking a shower is recommended before entering the sauna. • Bring a towel into the sauna (to sit on and put under your legs). • Do not wear slippers in the sauna. • Beginners should use the lower bench if possible. • You may only lie down in the sauna if the occupancy permits it. • Do not enter or exit the sauna before pouring on and after infusion. 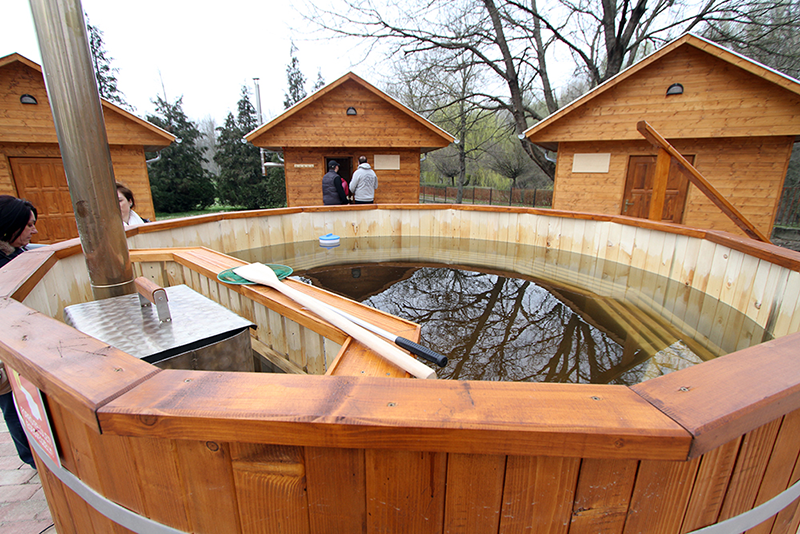 • The guests are informed about the time of infusion (some of which are performed by the sauna master). • After infusion – when the guests have left the room –, the sauna master must ventilate and disinfect the room. The time of this activity must be shown in an easy-to-see location. • Do not pour liquids containing alcohol, essences with a strong scent, or flammable liquid directly onto the stove. • Infusion may only be performed using a vat and ladles. • Before using the Finnish jacuzzi, taking a shower is compulsory. • Once your body has cooled down, a 10-15-minute rest is recommended. • Children may only attend the sauna above the age of 16. • The use of mobile phones is prohibited in the entire area of the sauna. • One resting bed is available for each person, which cannot be reserved in advance. • Eating or drinking in the sauna is forbidden. • Conversation in a low voice is allowed inside the cabin – without disturbing others. • Guests under the influence of alcohol or drugs may not use the sauna. • Wearing jewellery is not recommended. • Do not pour a great amount of water onto the stones at one go, as the resulting steam may cause burns! • Do not cover up the stones (danger of combustion)! • Do not touch the hot surfaces and attachments of the stove in operation! • Do not lean against the protective grating in front of the stove! 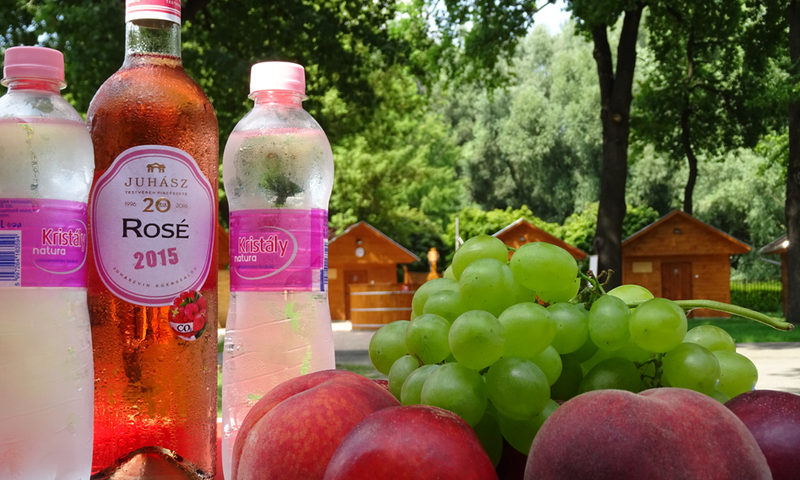 • Consuming alcohol during or before taking a sauna is prohibited! • Using the sauna without sauna textiles (towel, bathing suit) is prohibited! 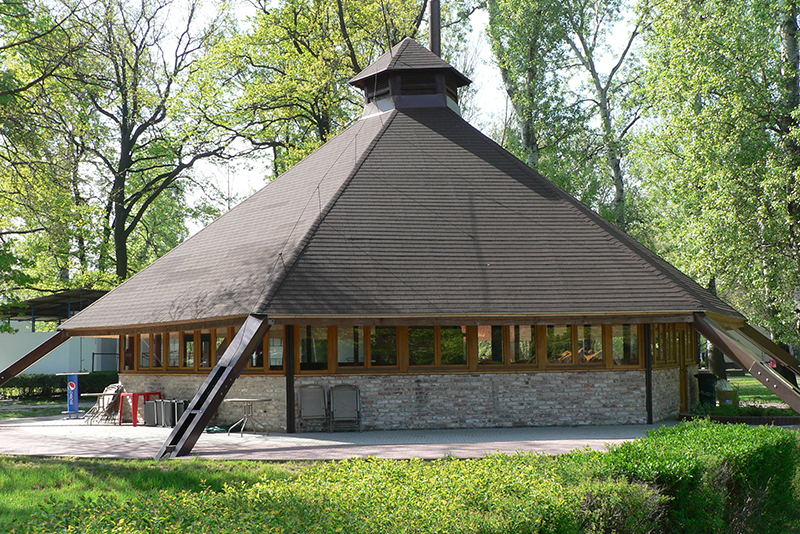 • Attending the sauna is only allowed above the age of 18. • Never rinse an open wound using water or disinfectant liquid. • Disinfect the vicinity of the wound and dress it using sterile bandage. • Use adhesive plaster in case of smaller injuries, and pressure bandage in case of arterial bleeding. • In case of nosebleed, sit the person down and make them tilt their head forward. • In case of burns, cool the affected area for 10-20 minutes with clean running water. • Use a sterile bandage to dress the burned body part. • If the person is unconscious, remove them from the sauna, open the door and windows and do not surround them. Loosen any tight clothing around their neck or their waist, and sprinkle cold water in their face. Apply cold water bolster on their wrists and nape. • Remove the affected person from the circuit as soon as possible. • Commence revival if necessary. • Even if the person is conscious, lay them down and keep them under medical supervision for 24 hours. • Call a doctor for any case of electric shock. • Heart stoppage may often occur in case of electric shock; apply heart massage if this happens. (Apply strong pressure around the heart area 6 times, then provide artificial respiration from mouth to nose one time; to be repeated several times.